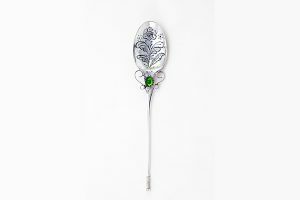 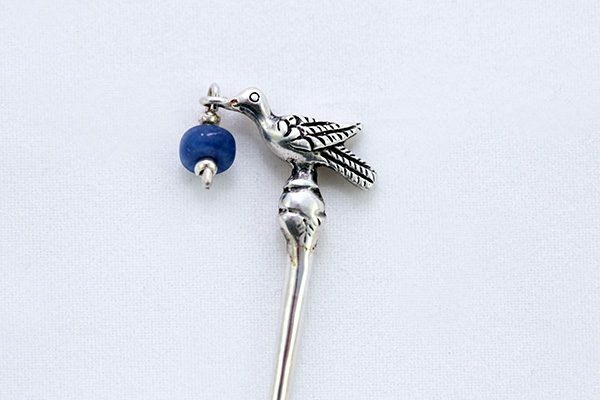 One of a kind bird stick pin from award-winning Cusco artisan, Hilda Cachi. 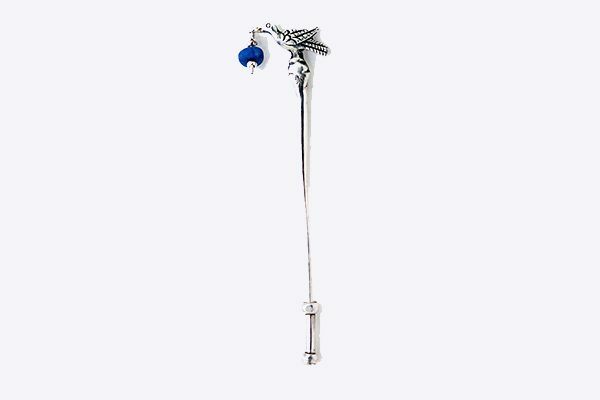 This charming little bird is 950 silver, carrying a dangle of sodalite (healing properties of peace). 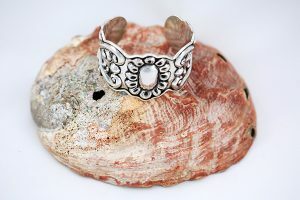 The Cachi family and Hilda are more widely known for their colonial style jewelry. 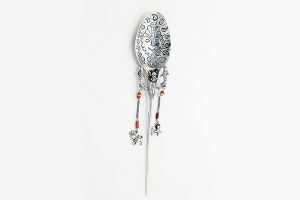 For fun, Hilda also enjoys creating one of a kind pieces, inspired by pre-columbian designs and cultures. 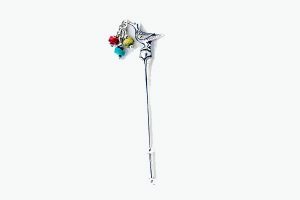 This pin has a little removable cap on the bottom, also made entirely by hand.